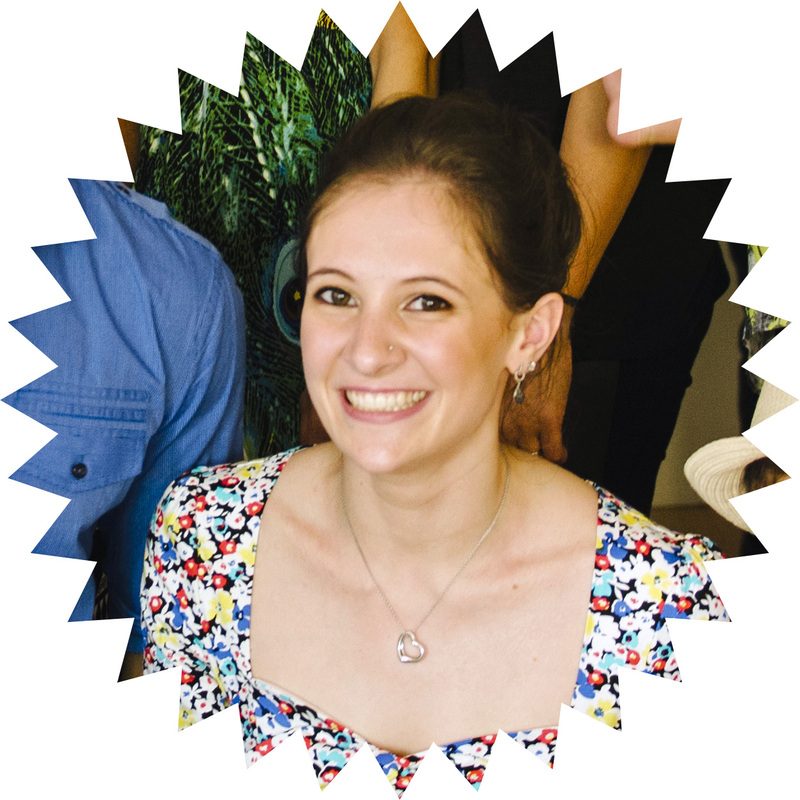 June 2013 – I can do that! I had a wonderful week this week. I was at Bunnings when I saw a nice tool set on sale, so I bought it as an early birthday present to myself. I’ve always wanted my own tool set, and I am very happy that I will no longer need to run home to steal Dad’s. Lara seems to like it too. During a long overdue clean out of my high school art folio, I found prints I had made from Lino cuts back when I was in year 8. Thinking back, it was one of my favourite mediums to use so I decided to give it another crack! It was a challenge to see if I could remember how it’s all done…. 14 years later!!!! !……please don’t do the math…. Yes, I’m getting old! To start with, you need a level glass platform. I picked up a cheap raw cut mirror from Bunnings for about $10. 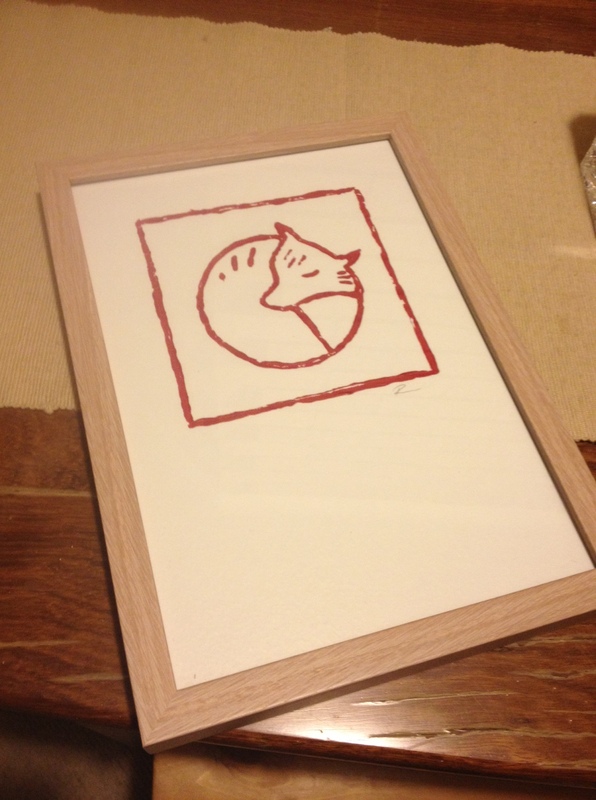 You will also need Lino cuts, cutting tools, block ink (or acrylics – slightly more difficult), a Breyer for rolling the ink and some thick watercolour paper (available at any good art & craft store). 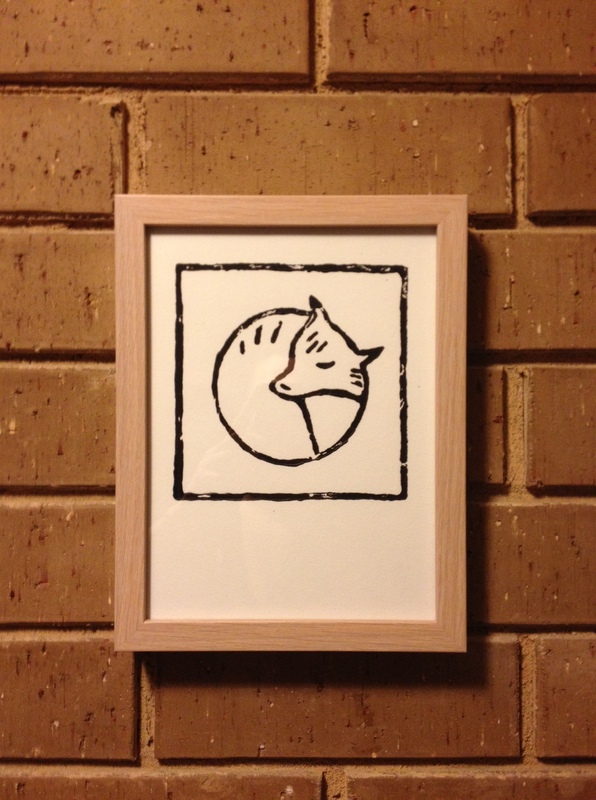 Once you have all that, the first step is to create your Lino cut. Draw your design directly onto the Lino with pencil (in case of mistakes) and trace over with black pen – I find Sharpie the best as it won’t smudge. Once your design is done, grab your cutting tools and begin removing all the Lino that you don’t want to appear in the final print (in the example used, I removed everything but the design outlines). Be patient and take your time. This Lino cut took me about 4-6 hours over a few night. It will take some practice to hone your technique – and you will need to be very careful not to cut yourself. 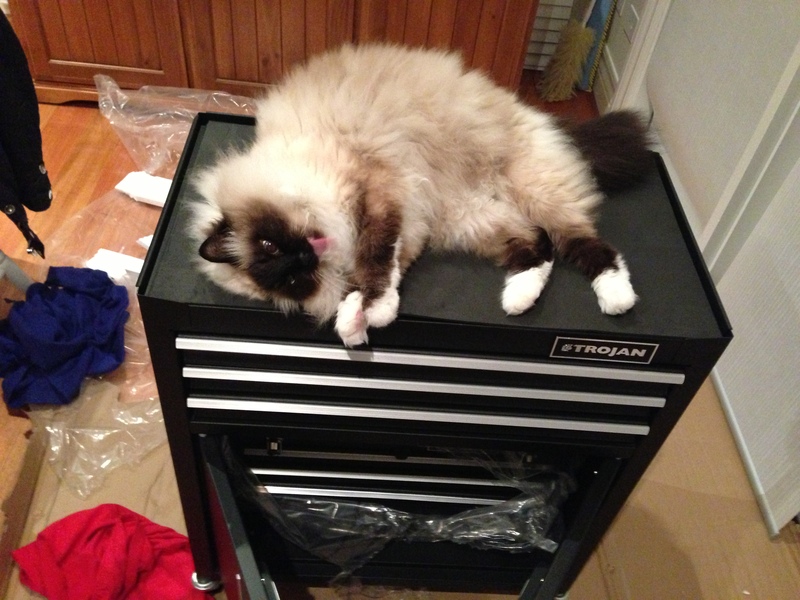 ALWAYS CUT AWAY FROM YOUR SUPPORTING HAND….. Trust me – those tools hurt! 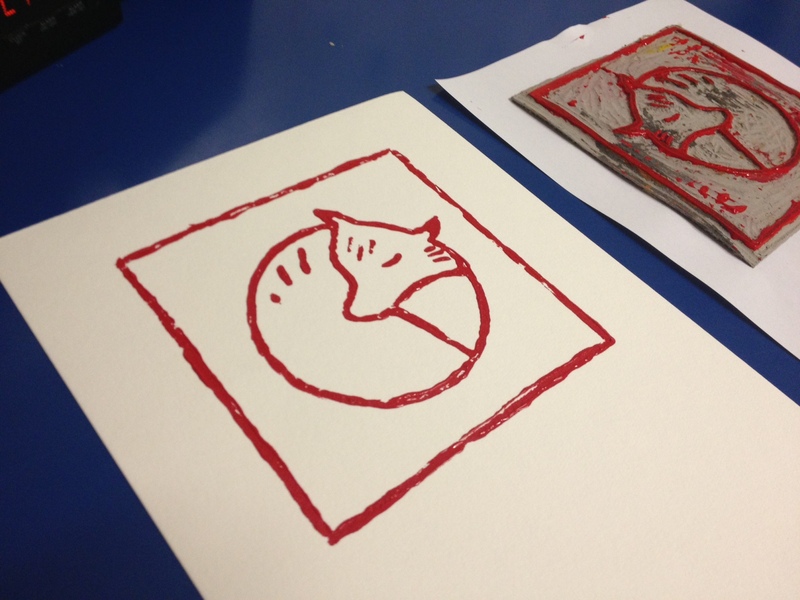 Once you have finished your Lino cut, the next step is printing! Always put down some newspaper or similar to avoid any mess. Once the ink is even, begin rolling the Breyer over the Lino cut gently. 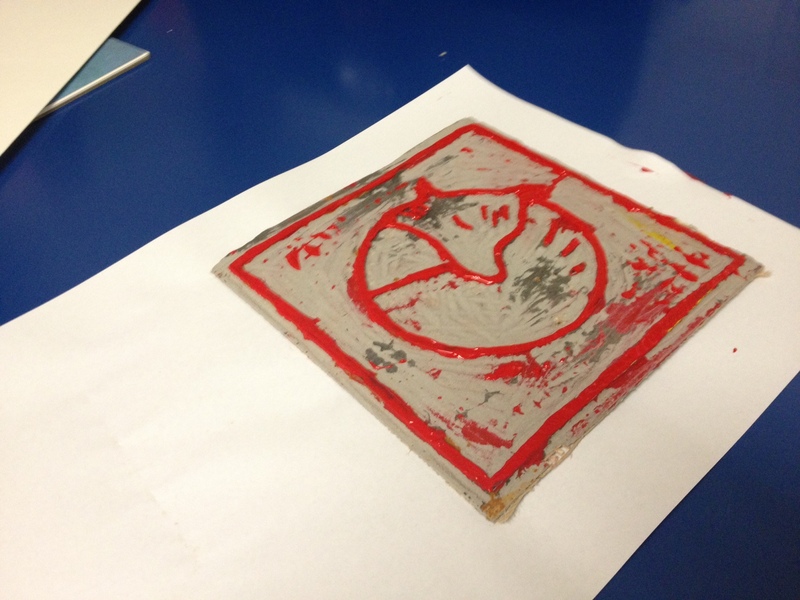 Be patient and make sure all raised areas of the Lino cut are covered in ink. Once the Lino cut is covered, very gently take a piece of watercolour paper and place it down slowly and carefully over the Lino cut and press down very gently on the raised areas of the Lino cut. 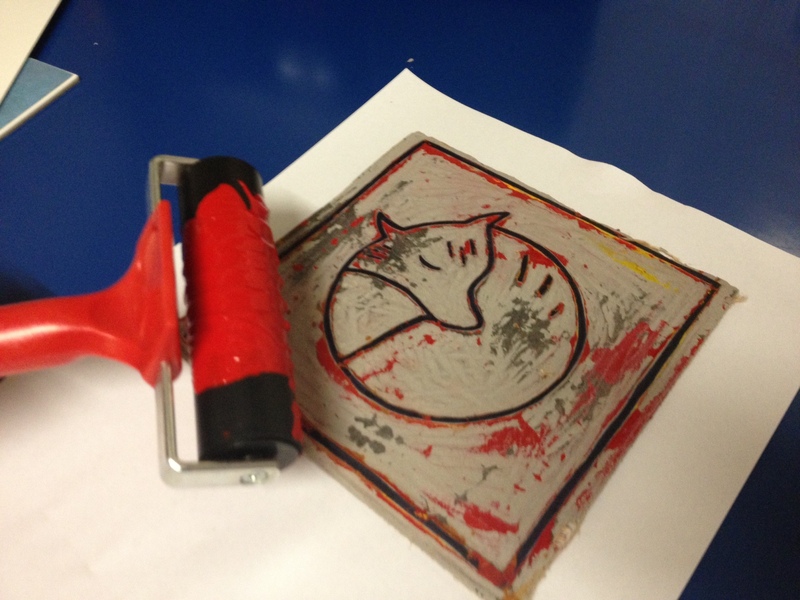 When removing the watercolour paper, peel the paper back very slowly from both sides and lift it away from the Lino cut. This may take a few attempts so don’t lose heart! 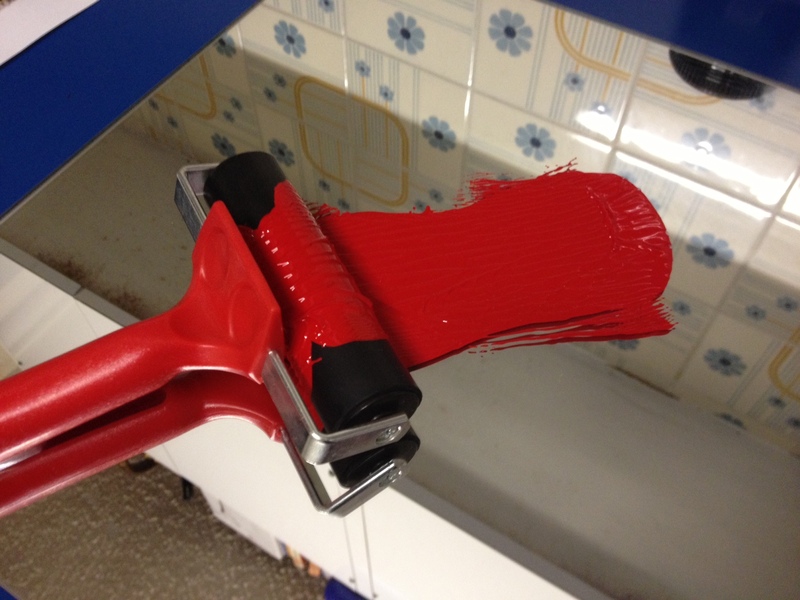 Don’t worry if the print doesn’t transfer perfectly, they can be easily touched up with a small paintbrush. In this instance, I used acrylic paint which is more difficult as it doesn’t roll out as easily and requires more patience. However, once you get the hang of using acrylic you can achieve some beautiful colour combinations. 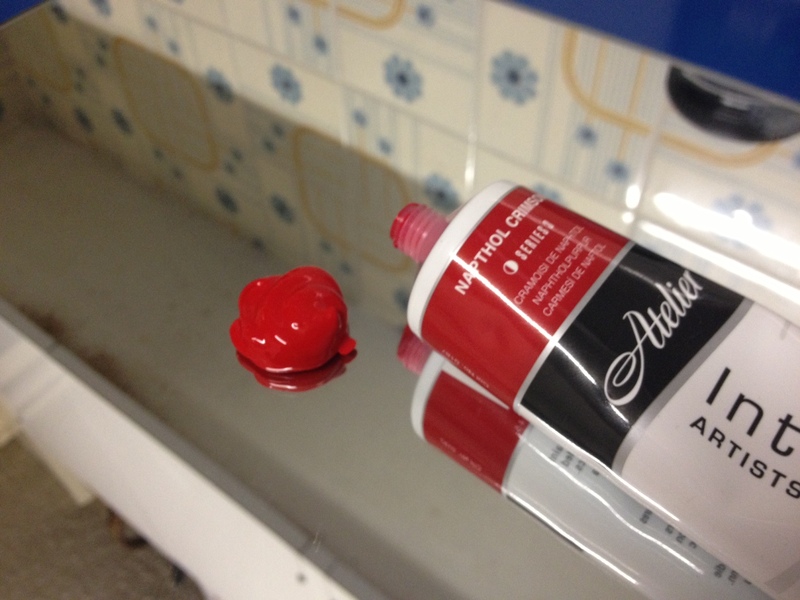 Acrylic will dry quite quickly but always allow a minimum of 24 hours for the paint to dry properly. Block ink takes a while longer to fully set and should be left for at least 48 hours as it will be tacky even after it seems dry. Once it’s dry, you are free to frame or finish to your desire! Don’t be afraid of uneven lines or imperfections, the raw nature of this style is what makes it so enjoyable. Look for perfection in the imperfections. The flaws are the art!I loved making this cut, the process was therapeutic and I was really happy with the results. 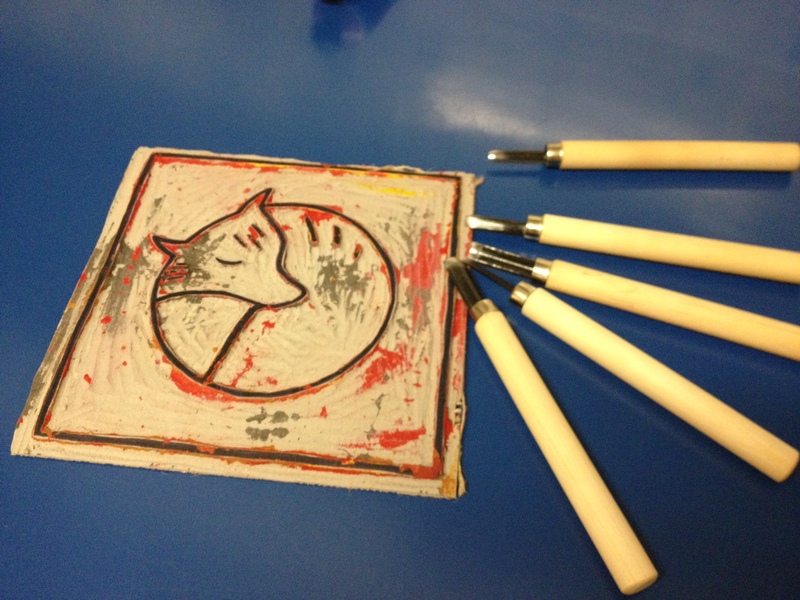 Tamara – enjoy your Lino cut fox!